This is an introductory course in French into English financial translation based on the instructor’s 18 years of experience as a freelance translator and former commercial and retail banker. About this course: This is an introductory course in French into English financial translation based on the instructor’s 18 years of experience as a freelance translator and former commercial and retail banker. It is designed for French into English translators who would like to learn the basics about the specialization or are considering specializing in financial translation. About the instructor: Judy Lyons has been a freelance translator of French into English since 2002, specializing in financial and legal texts. Her clients include multinational banks, investment companies, and legal services firms, as well as various direct and agency clients. Prior to translation, Judy worked for over ten years in commercial and retail banking in the U.S. and France and in the financial units of multinational corporations. 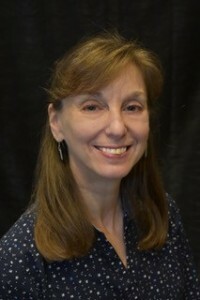 In 2018, Judy taught the French into English Financial Translation Workshop, and in 2017 she was a co-recipient of the Marian S. Greenfield Financial Translation Presentation Award from the American Translators Association. Judy earned a Bachelor’s degree in languages from Georgetown University and a Master’s degree in French from NYU before earning her translation certificate from Georgetown University in 1995. She has been certified by the American Translators Association for French to English translation since 1996. Live session schedule: Mondays and Wednesdays from 10:30-11:30 New York time, with the exception of the week of May 27, when the live sessions will be on Wednesday and Friday from 10:30-11:30 New York time. Registration: $365 until April 20; $380 thereafter if spots are still available. $15 discount for ATA members with coupon code ATA; $15 discount for anyone who has previously taken a class with Corinne, with coupon code ALUM; $10 discount for anyone who has never taken a class with Corinne. (Two codes can be combined). Description: This is an introductory course in French into English financial translation based on the instructor’s 18 years of experience as a freelance translator and former commercial and retail banker. It is designed for French into English translators who would like to learn the basics about the specialization or are considering specializing in financial translation. Week one will provide an overview of the instructor’s experience in this field, with a wide-ranging list of the types of topics you may encounter, the kinds of texts you may be asked to translate, and the variety of clients you may work with. In week two, we’ll talk about the market for financial translation and what drives demand in the specialization. Week three will be an overview of some of the instructor’s tips and techniques when working with financial texts. We will wrap up in week four with some case studies of some of the instructor’s interesting projects and the challenges and satisfaction they bring. 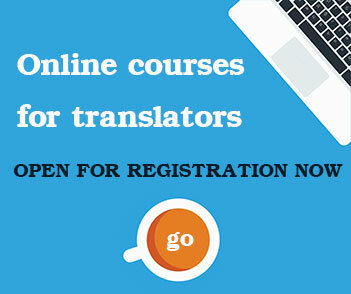 Each week will include a practice translation of approximately 250 words, with individual feedback from the instructor.